23-year-old Marketing Management Graduate and a licensed scuba diver Sherlyn Legaspi Doloriel from Cagayan De Oro was crowned the winner of Miss Scuba Philippines 2017 held at The Plaza Resorts World Manila on October 10, 2017. She succeeded last year's winner Meryl Angeline King and will now represent the Philippines at the Miss Scuba International 2017 which will be held at Kota Kinabalu, Malaysia this coming November. The pageant which is now on its 7th year is advocating worldwide marine conservation. 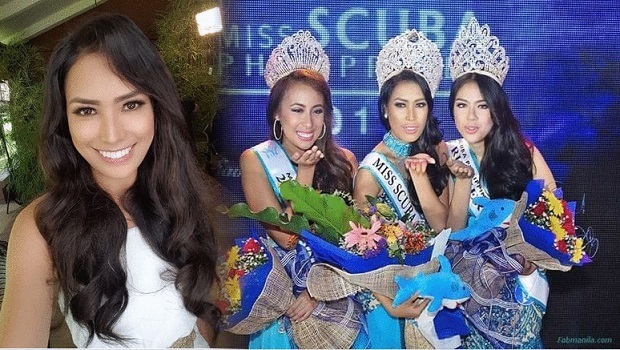 Sherlyn, who was also named "Darling of the Press", bested 14 other lovely Ocean ambassadors including her court: Dani Acuña of Romblon (First Runner-Up) and Kristine Eiriel Nolasco of Manila (Second Runner-Up). Sherlyn is no stranger in the glitz of pageant world as she was Miss Cagayan de Oro 2016 and represented her hometown at this year's edition of Miss Philippines Earth.